Okay! 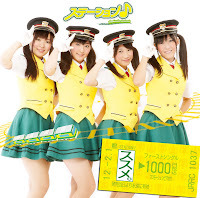 Musume Time: Make Way for these Lovely Train Conductors! - Station♪'s 'Susume.' 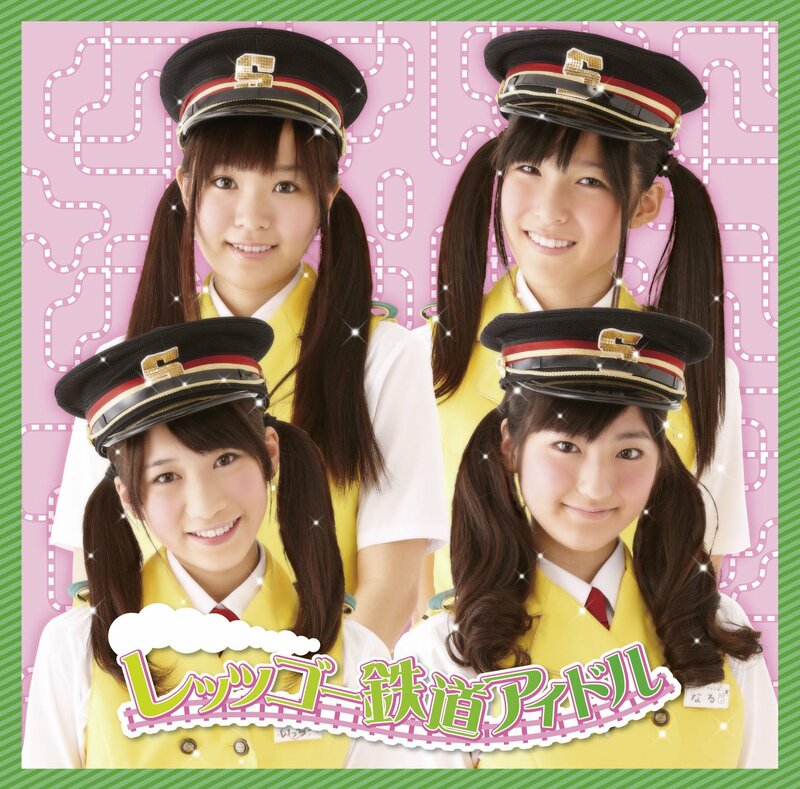 and 'Let's Go Tetsudo Idol' Single Reviews! Make Way for these Lovely Train Conductors! - Station♪'s 'Susume.' 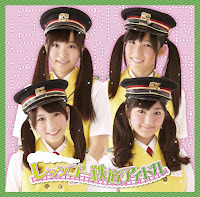 and 'Let's Go Tetsudo Idol' Single Reviews! Station♪ are an Indies Idol unit who were created somewhere between September-October 2011, and officially debuted as an Indies Idol Unit under the Indies label 'Jolly Roger', which created the successful all girl group, PASSPO☆, as well as Pre-Dia, another indies group. So, it really doesn't come as a surprise that the Jolly Roger company has made another themed girl-group, but this time, there are fewer members. Also, they recently announced an 'Apprentice member', and if she eventually gets promoted, the group will become a five member unit. Anyway, Station♪ have actually been pretty active in terms of bringing out singles since their debut, and as far as I know, they have been to quite a few idol events and also a release event for their first two singles. Their third single will actually be released this month, but currently they have brought out the songs Susume. and Let's Go Tetsudo Idol. There are no B-sides, just the song and the instrumental for both singles, as well as a PV included on the single, however I have not been able to find them at all yet. I actually aim to buy the three singles that these girls have created, but when I saw that these two songs were available to download, I decided to give them a listen to before deciding if I wanted to buy them or not. I've taken quite a liking to this group already, but I wasn't able to listen to a good-quality MP3 of their songs before hand, so I took the chance that I had and decided to listen to these two songs to see how they fared when the girls weren't singing live. So, here we go! Susume. is quite a cute song that has that rather generic Idol-like sound to it, but is still charming itself. When I first heard this song, it was during a 'live' performance, where the girls performed in front of the press whilst promoting their single Let's Go Tetsudo Idol. Despite the low quality of the song itself, I thought that the girls and the song were very cute and charming. In a way, this song's opening slightly reminds me a little of PASSPO☆, but the rest of it is really cute and idol-ish. It has a sweet sound to it, the girls voices aren't overbearingly 'kawaii' and sickening, and they sound really good together. The beat is easy to get into, and quite catchy, but not overly memorable in any way. I like how it sounds, though, but I doubt that this will appeal to everyone. But for me, it's the right amount of cuteness and energy for a debut song. Is it the best way to debut them? Heck no. 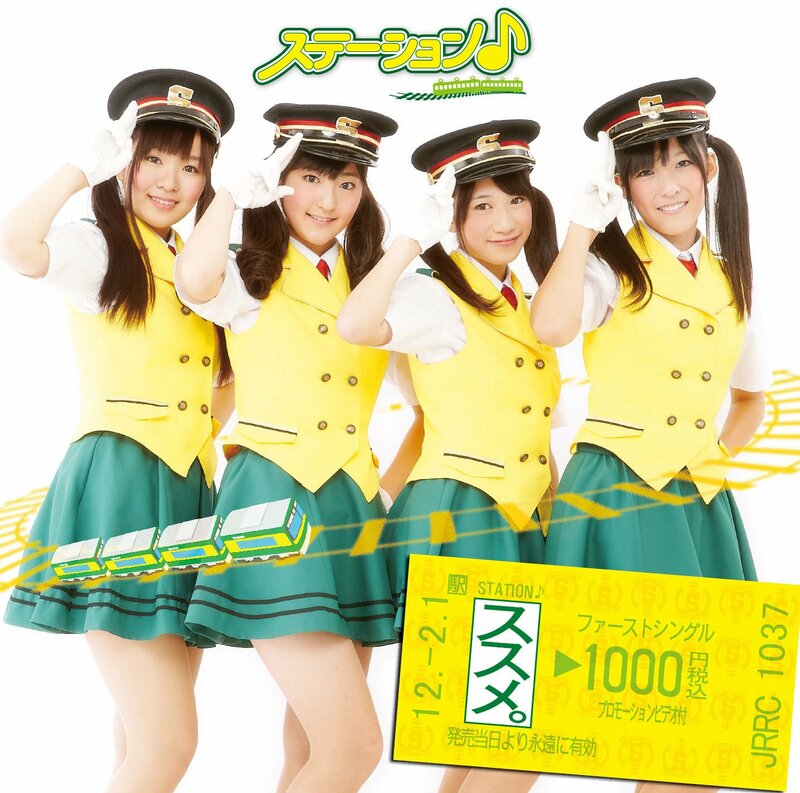 I think that Let's Go Tetsudo Idol is a better song, but this is a new group. The quality of their music, however, is good. Cute song, cute girls, nice tune and a very good first-impression. A good start for Station♪ in my opinion. Let's Go Tetsudo Idol is a lot more up-beat that Susume. is, and expresses more genki happiness and offers more solo's so that we can hear the girls individually as well as together. I really like this song, it is my favourite between the two singles that I have heard from these girls. I love the instrumental to it, I love how quirky it at parts, and when I watched this via the live video for the first time, I really enjoyed the dance. This is basically a silly song in a way. It's cute and hyped up during certain parts, and it sounds like the girls are all having a blast when they sing this. I would say that this has less of an Idol beat to it than Susume. does, but it does still sound very Idol-ish. However, it's presented a lot better, and it is a lot catchier than the previous single was, and the energy in this is a lot better and you can hear the effort that the girls put into this single. I really love the chorus because of the energy and effort you can hear, and it sounds so happy and the girls sound so wonderful together. They really blend, and the solo parts are beautiful. I love the solo towards the end where it slows down, then picks up a little afterwards before getting back into the song. It just adds to it and makes it nice to listen to. I think that this is a good single, probably not the best song I have listened to, but it is very good. I think that these girls sound so good together, and the energy in this song is very nice. In all honesty, I like both of these songs, but I love Let's Go Tetsudo Idol that little bit more. I think that the energy and happiness present in that song are great, and the little bit of silliness we get is very cute, and really adds to the song. These songs are a good start for an indies Idol unit like Station♪, and I hope to hear more from these girls, because I think that they are very talented and really cute. I also hope that 2012 will become the year of 'Themed' idol groups, such as PASSPO☆and Afilia Saga East, two groups that I really do like who both have themes (Air Hostess and Maid outfits) that appeal to certain audiences. So, I hope that Station♪ will be well received and one day get their big break like PASSPO☆ did. So, if you have never heard of this group, what were your first impressions if you took a look at that video? Honestly, I do like this group, and I aim to buy their first three indie singles. Yes, I like them that much. I just need to save my money! Anyway, have a nice day everyone!